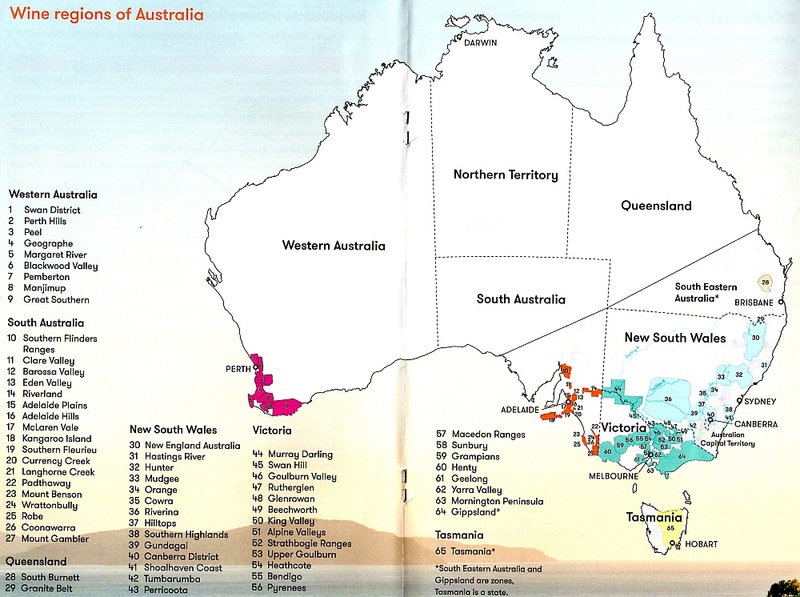 Australia is a large country with diverse climates and unique terroirs. There is for example the Terra Rossa, red soil, in the Coonawarra Valley which makes exceptional Shiraz and Cabernet Sauvignon. Or the cooler climate of the Hunter Valley, making expressive Semillon which can age for many years. Or Margaret River in Western Australia, which has been said to have a climate similar to Burgundy, and produces some say is the best Chardonnay in Australia. 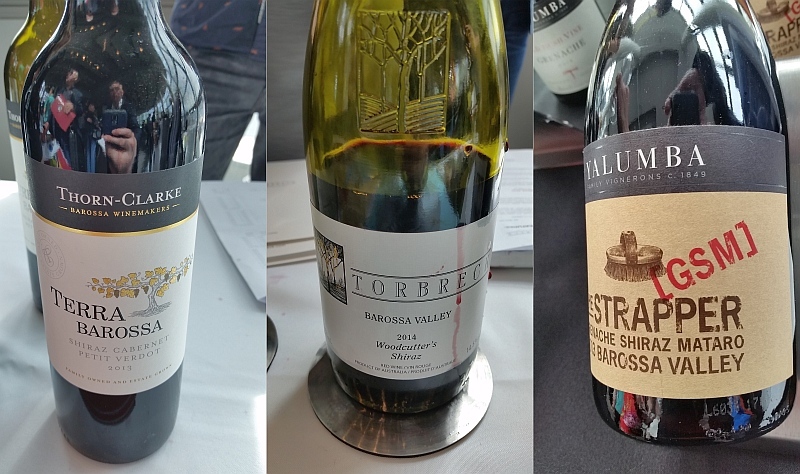 I recently had a chance to try the latest vintages of some wines brought on the Australia Up Close tour that visited Vancouver. I hope you have a chance to try some of these wines, either through the BCLDB or a private wine shop near to you. They are quite accessible, and would be enjoyable on your patio, having a dinner with friends and family. William Hardy Chardonnay 2016 (~17.99) – Light apple and oak aromas. Fuller bodied, dry with ripe fruit flavours, in particular red apples, along with light toast. Vasse Felix ‘Filius’ Margaret River Chardonnay 2016 (~$28.69) – Western Australia is known to be more European in style. This wine has a mix of tropical fruit, vanilla and toast on the nose. Fuller bodied, round and dry. Flavours of pears, sweet spices and toasted oak. 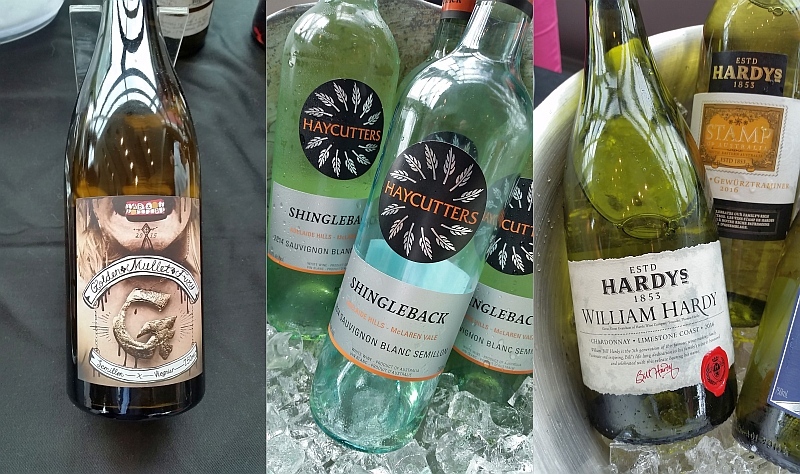 Shingleback Haycutters Sauvignon Blanc Semillon 2014 – One of my favourite white wines of the tasting, this wine has a mix of ripe stone fruit aromas with petrol. A sweet nose. More petrol on the palate. Medium body and round, with nice texture in the mouth. A mix of stone fruit flavours up front, followed by citrus at the finish. Some toasted oak as well. Alpha Box & Dice Winery ‘Tarot’ Grenache 2016 (~$20.03) – A wine that I have tasted many times and it never fails to impress me. This vintage has pretty candied red cherries and floral nose. Dry, with medium body and medium acidity. Candied red cherries and cranberry flavours. Very good. Barossa Valley Estate Grenache Shiraz Mourvedre 2014 (~$21.49) – Light red fruit, flowers and oak on the nose. Medium body and mouth feel. Higher acidity. Ripe red fruits, cherries, some toasted oak and peppery on the palate. Bleasdale Vineyards ‘Frank Potts’ Langhorne Creek Red Blend 2013 (~$21.16) – A tribute to Frank Potts, the founder and winemaker of Bleasdale Vineyards in the late 1800s. A blend of Cabernet Sauvignon, Malbec, Petit Verdot, Cabernet Franc, and Merlot. A mix of capsicum, chocolate and dark fruit aromas. Fuller body, dry with fine tannins. Flavours of black fruit, capsicum, pepper and light spice. 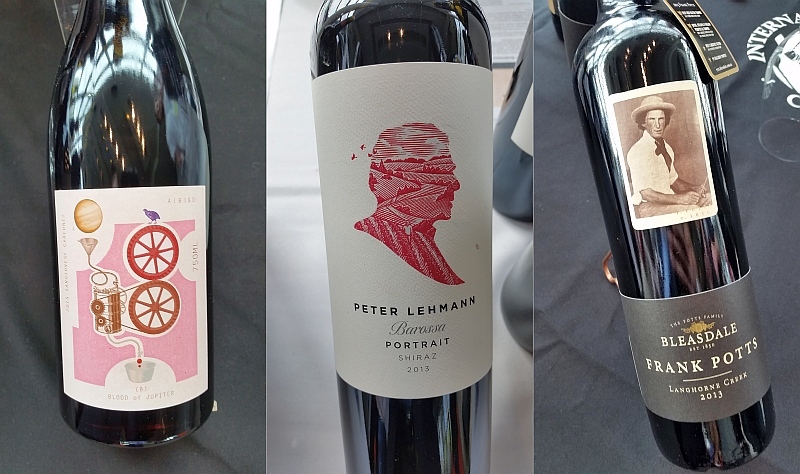 Peter Lehmann ‘Portrait’ Barossa Valley Shiraz 2014 (~$19.99) – Nice ripe, deep dark fruit nose. Dry, medium plus body with a full mouth feel. Medium acidity. Ripe cassis and black cherries along with some pepperiness. Peter Lehmann ‘The Barossan’ Barossa Valley Shiraz 2015 (~$22.95) – Cedar, vanilla and red fruits aromas. Dry and soft, with medium plus body. Red apples, sweet red fruits and nutmeg on the palate. A soft Aussie wine that is really big. Shingleback ‘Davey Estate’ MacLaren Vale Reserve Shiraz 2015 (~$24.95) – Nice ripe cassis nose together with some chocolate. Full bodied, ripe and round, with soft tannins and salty minerality. Ripe cassis and red fruit flavours. Shingleback ‘D Block’ MacLaren Vale Shiraz 2006 (~$55) – Dark, muddied garnet colour (due to its age). Prunes, and dark fruit nose. Full body, with lifted aromatics; dried black fruit. Peppery. It’s not often you see an Australian Shiraz around for sale with more than 10 years of age. See what an aged Australian Shiraz is all about. Thorn-Clarke ‘Terra’ Barossa Shiraz, Cabernet Sauvignon, Petit Verdot 2013 (~$24.99) – A premium producer who I have had the chance to meet several times in the past here in Vancouver. This wine has a dark, rich, ripe cassis nose. Dry, fuller bodies, with ripe cassis and apple flavours, along with some sweet spice. Red cherries on the finish. Firm tannins, so this wine can age. Torbreck Vintners ‘Woodcutters’ Barossa Valley Shiraz 2015 (~$38.99) – Lifted cassis, cocoa and smoke on the nose. Full bodied, round mouth feel, with medium acidity and medium plus tannins. Ripe cassis and raspberry flavours. A quality wine. Yalumba ‘The Strapper’ Barossa Valley Grenache Shiraz Mataro 2013 (~$23.99) – Light, ripe cassis nose. Medium plus body, dry with fine tannins. Cassis and sweet spices on the palate. An easy sipper.